There is still time to participate in our clothing drive and help the Hope Women's Center, a nonprofit serving at-risk women and girls in the Phoenix area. As a long-time community leader and family-run business, we know it is vitally important to support those in our community who need a hand. And, to show our appreciation, customers who donate clothing will receive a coupon for 20% off their order (limit one per customer; see coupon for details). Bring your new or gently used clothing donations to any Tide Dry Cleaners or DELIA'S Cleaners location. For more than 34 years, Hope Women's Center has served as a safe haven for women and adolescent girls. Through its five centers in the greater Phoenix area, Hope offers weekly classes on parenting, relationships, job skills, nutrition and child care. In addition, Hope provides mentors who meet one-on-one with clients each week to help them navigate challenging life situations. Together with your help, we can make the New Year a little brighter for women and girls in our communities. The New Year is here, and it is the perfect time for a fresh start. 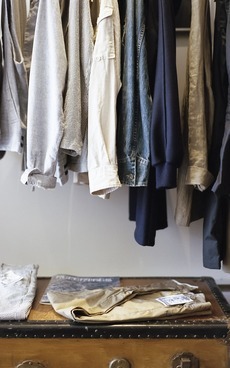 So why not clean and organize your closet? First, take inventory. Then remove the clothes you don't wear and donate them. In fact, you can donate clothes to Hope Women's Center at any Tide Dry Cleaners or DELIA'S Cleaners location. If you aren’t sure what to keep, these tips may help. Is it likely that you will wear it again - ever? Once you decide to donate a piece, check the pockets, remove personal items, and neatly fold it up. Donate all the items you selected and think about all the room you have for 2019's hottest new styles. A gentleman's tie can make or break a first impression. That's why proper tie care is essential! These simple tips will help you create the first impression you want and make your favorite ties last longer. 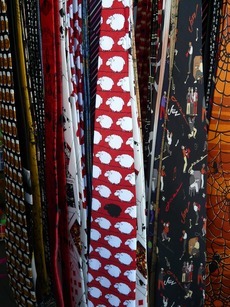 Ties and the fabrics used to make them are delicate. For this reason, always dry clean ties to preserve their "like new" look. When you do spill on your tie, don't try to remove the stain with a cotton napkin dipped in water. Most food-based stains have oils like butter or grease. Water sets this type of stain permanently. Bring your dirty ties to Tide Dry Cleaners or DELIA'S Cleaners ASAP for expert care. In between, hang your tie up as soon as you take it off. Let the wrinkles from the knots fall out naturally over time. And, never wear the same tie two days in a row. For travel, roll ties and pack them in a tie case. Be sure to dry clean all of your ties at least three times each year. Avoid harsh cleaners for scrubbing pots and pans. Instead, head to your garden or the grocery store and pick up a few fresh lemons. Simply cut the lemon in half, spray the pan with water, and sprinkle salt on the pan. Use the lemon to scrub the dirt and stains. Not only do lemons clean remarkably well, they smell great, and are safe for you and your food. DELIA'S Cleaners Is Joining Tide Dry Cleaners! Please read this personal note from our founder, Phil D’Elia, as he shares insights on the evolution of our family-owned and operated business. We will be sharing more about this exciting news in our February newsletter, so keep an eye out! Watch for next month's Fresh Press for member savings on alterations.